I love the name of this cream because it reminds me of the wonderfully weird and funny Japlish terms on so many Japanese products. I’m sure a lot of products in Korea have the same! Cute name aside, this is a serious moisturizing cream in probably the most beautiful packaging I’ve ever had the pleasure to use. Mizon Returning Starfish Cream is also another example of the amazing quality of Mizon’s products, and why I am now a loyal Mizon user! For those of you who don’t know, Mizon is probably one of the most beloved Korean skincare brands because of their products’ amazing quality, generous sizes, and reasonable prices. If you’ve never tried any of their products before, read my post on the All in One Snail Repair Cream and get yourself some. Seriously, you will be amazed at the results and your skin will thank you. 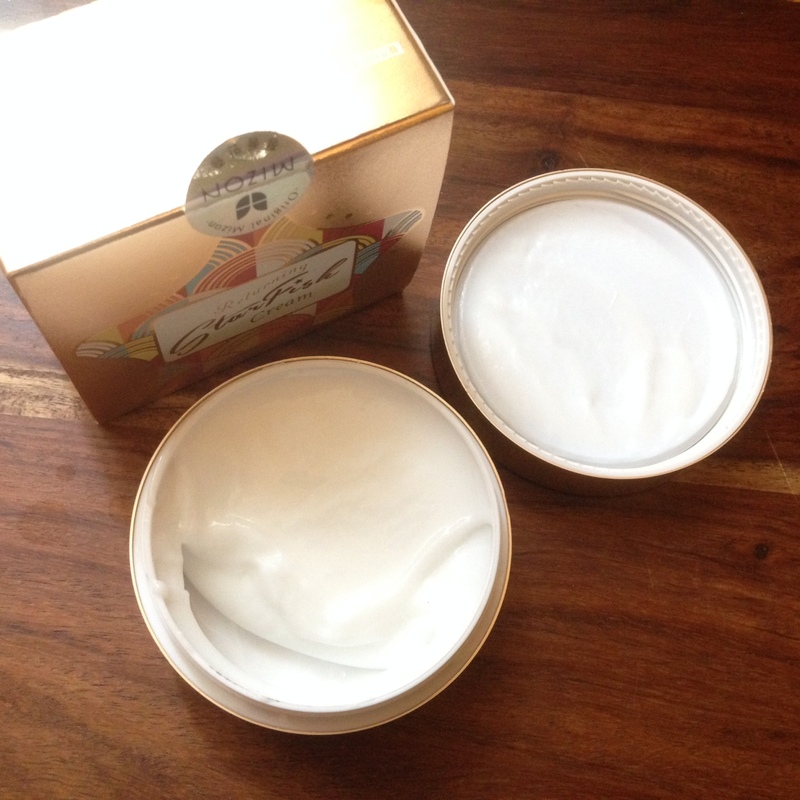 Since falling in love with their All in One Snail Repair Cream, I’ve ordered a bunch of other Mizon products, including this cream, which I got for around $22. This is hands down the prettiest skincare product I’ve ever owned. I don’t know what it is about nice packaging, but it definitely makes using the product more enjoyable. The box is a beautiful rose gold, and when I opened it I couldn’t help but mutter “ooooooohhh….” when I saw the pretty rose gold and white metal tin of the moisturizer. Seriously, have you ever seen such a pretty container? Opening the tin, I was surprised by the consistency of the cream. It’s like a milky jello. But… IT’S ALIVE! (Mad scientist laughter…). This also reminds me a little bit of coconut jelly. I think the reason why this cream is called “returning” is because it always “returns” back to a perfectly smooth condition within around 30 seconds, regardless of what you do to it. I think this is because of the polymers in it. Like most of Mizon’s products, there is a large percentage of the star ingredient in this cream. 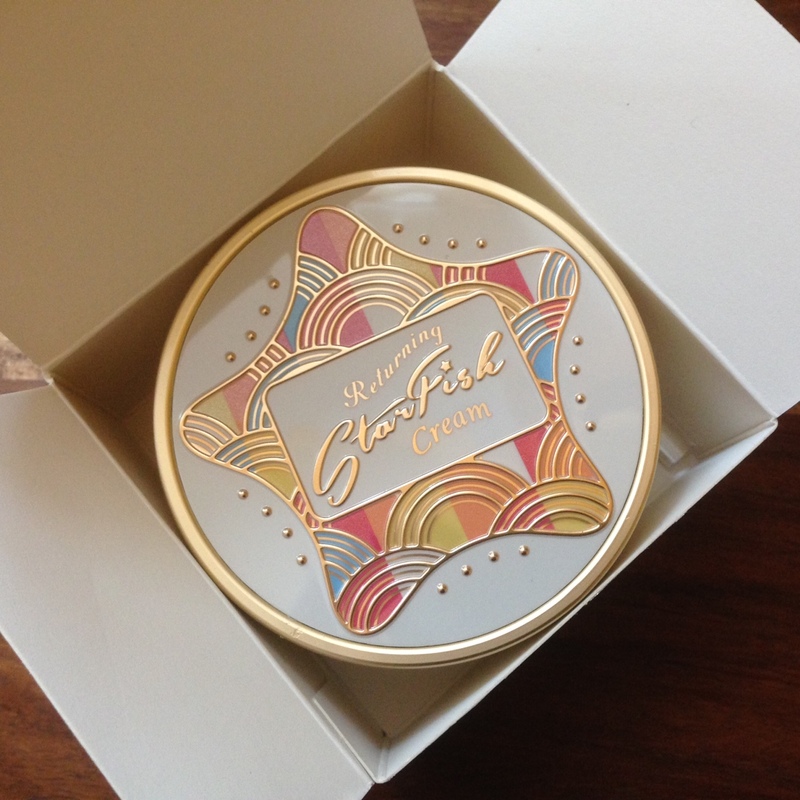 And as the name indicates, the star ingredient is… drumroll please… Starfish Extract! 70% Starfish Extract, to be exact. So why Starfish? The reason for this madness is the starfish’s ability to regenerate and heal their body parts. Starfish are comprised of mostly collagen and calcium, nutrients that play a key role in their regenerative properties, which can also help rejuvenate skin. In addition to the starfish, Mizon has also added argan oil, olive oil, evening primrose oil, meadowfoam oil, and camellia oil for added moisture and antioxidants. The benefits of this cream are: provides long-lasting hydration, replenishes skin’s moisture barrier, skin feels plumper, smoother & healthier, revitalizes dull & dry skin, and protects against free radicals. I ran the ingredients through cosdna and there are a few red flags that came up. Olive oil, evening primrose oil and meadowfoam oil each get 2 as an acne-trigger. And triethanol amine, a pH adjuster, gets a 2 as well. Also, I know that argan oil personally makes me break out. All the other ingredients seem safe. I used this product for around 6 weeks, and it never made me break out, despite of the acne-triggering ingredients. The texture of this cream is very unusual, almost like jello. But it does spread and absorb into the skin really easily. A little goes a long way with this cream, and unfortunately my biggest problem is that I would accidentally grab too much. This moisturizer comes with a little spatula, which would be handy if I didn’t lose it right away (seriously, why do I always do that?). I use clean fingers to grab a little of the moisturizer, but it’s difficult to get only a little bit at a time with your fingers. Because of it’s jello-like consistency, a large glob comes out every time. I always ended up with extra to spread on my neck, too (which is what I should be doing anyway, so I’m not complaining). The cream is insanely moisturizing! It definitely did a good job of leaving my skin hydrated, plumped, and dewy. Maybe a little too dewy. Unfortunately, my skin would stay really, really shiny. Which is fine for nighttime, but a little too much for during the day. During the day, I had to put on a couple layers of primer so that my makeup didn’t end up running down my face. I don’t know about any regenerative properties, because I’m sure those (if any) would be more long-term. Also, I only have a few fine lines around my eyes (and thankfully no major wrinkles). This cream definitely didn’t reduce any of my fine lines, and it didn’t do anything to reduce any hyper pigmentation resulting from healing acne. So I don’t really know what “regenerative” properties Mizon is talking about. Other than the (possible) lack of regenerative properties, and leaving a lot of shine, I definitely was super satisfied with this cream! It provided major hydration, my skin felt plumper, smoother & healthier, and my skin definitely looked more revitalized and healthy. Pros: 70% of its *star* ingredient, major hydration, didn’t make me break out, and lived up to most of its promises! Oh, and beautiful packaging! 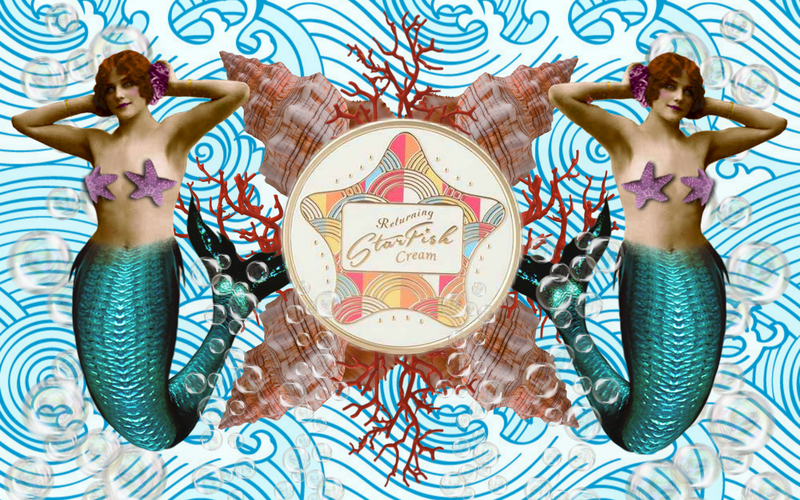 Cons: too shiny for daytime, and not really sure what the “regenerative” properties are in this cream. Review: Tarte Maracuja Oil – and a little lesson on face oils for acne prone skin! For some strange reason, I do not get it about the “regenerative” properties of starfish extract, since few studies have even been done on it as a whole. Logically, what cannot be proven via any proof or evidence must therefore be relegated to the category of anecdotal claims, which would then lessen the impact of its claim, because it is based on personal feelings thereafter. I have read a bit about the starfish being self-healing when it is injured or hurt, but wonder how that translates to starfish extract being able to enhance the human skin’s own ‘regenerative’ capabilities. Hopefully, more studies can be done in this area scientifically, or else, Mizon is probably operating under the assumption of serving a new fad or trend (like fashion, skincare has trends and fads too), and the addition of tried and tested emollient ingredients such as meadowfoam seed oil and so on.